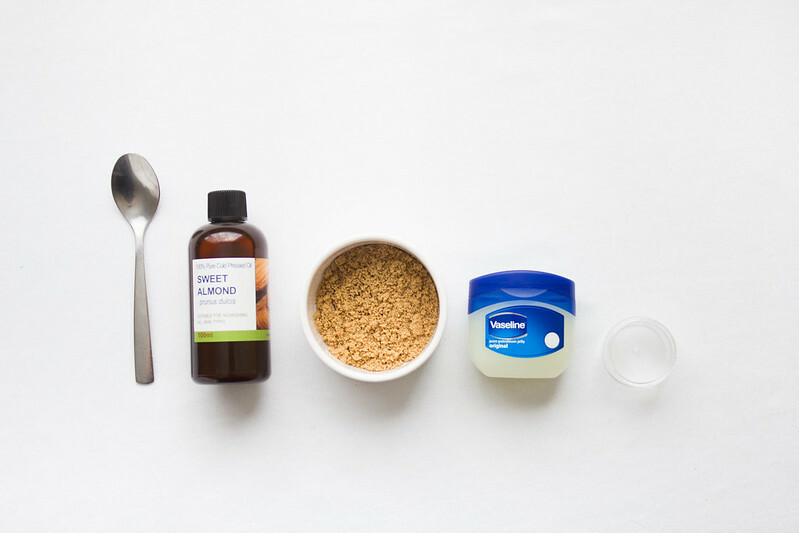 I wanted a lip scrub to exfoliate but when I discovered the majority of scrubs are literally just oil and sugar I thought, "why pay for something I can make from ingredients in my cupboard?" I used to have a terrible time with my lips; I swear using this recipe combined with a wicked lip butter has solved my problems for good. I use this scrub every other day and I've never had a problem ever since. 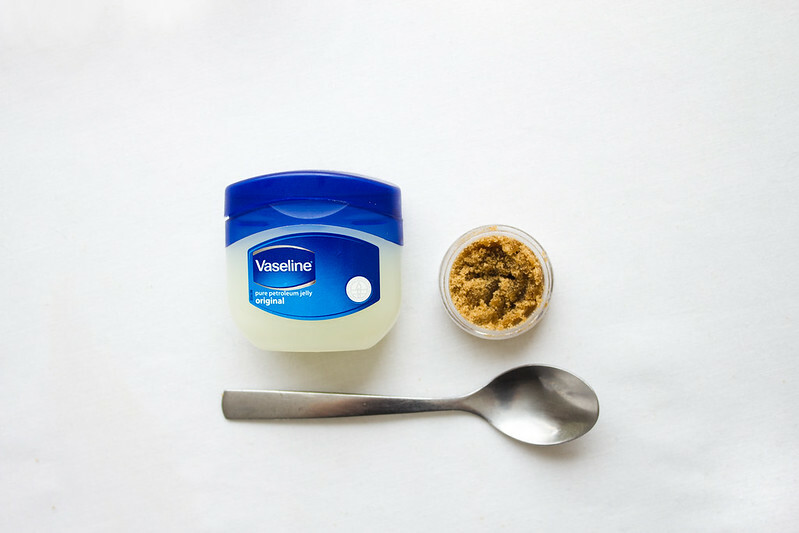 This recipe is incredibly flexible, you can adjust the consistency from a rough exfoliator to a smooth lip balm, or add scents or flavourings like peppermint or vanilla. Feel free to substitute the sweet almond oil for olive oil or even use a different sugar; I use whatever I have in my cupboards when mine runs out. 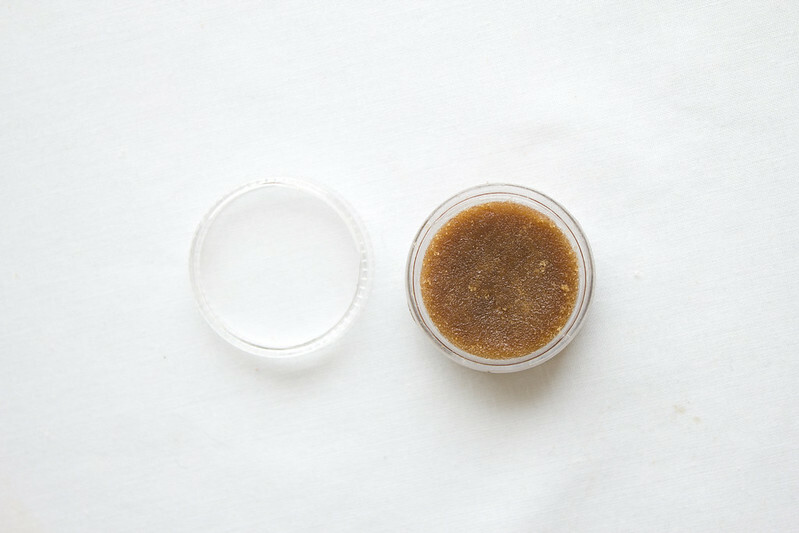 I prefer to make a fairly compact scrub but you might prefer a lighter formula similar to a balm with exfoliating sugar particles. Feel free to mess around with it. Oh wow this is probably as good if not better than the Fresh Sugar Lip Scrub, for example. What's the shelf lip for this scrub? I make a small pot of this and it lasts me about three weeks so it never gets the chance to go off. I would say use it up within a month but I am certain (because of the ingredients) it could last longer. I am totally trying this. I have a pot of Lush bubblegum sugar scrub that I've had for so long but never use because while its great in theory, its a bit rank in practice. Although it is neon pink. 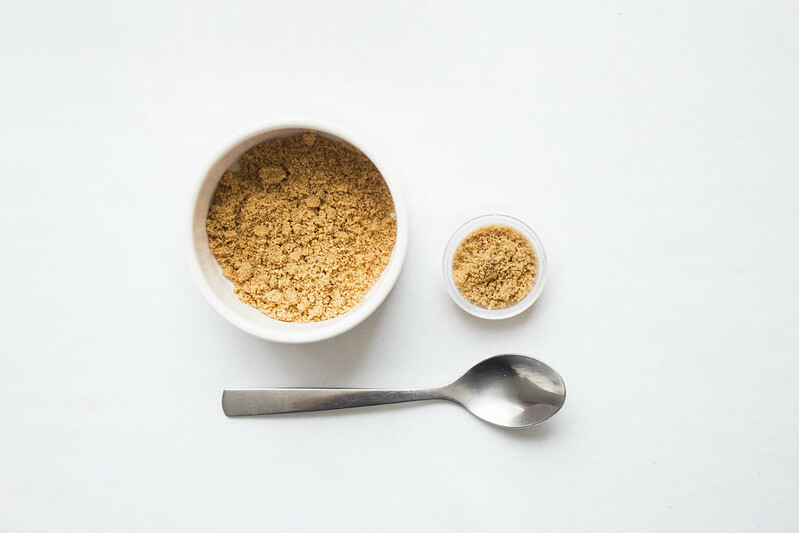 The LUSH sugar scrubs are the reason I dug through my cupboards to find a make-it-yourself recipe. They charge £5 for someone to mix some oil and sugar together for you - they smell nice and that bubblegum one is v tempting being neon and all.. but I'd rather make it myself. TOTALLY. Get on this; it only takes five minutes to make too.